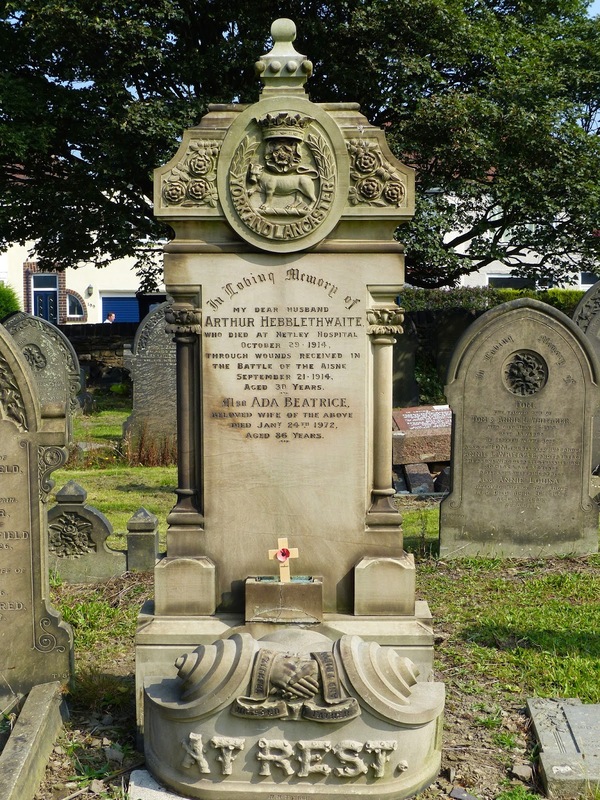 Of all the gravestones in Sheffield (Norton) Cemetery, the example marking the grave of Private Arthur Hebblethwaite is probably the most impressive. The son of John and Lucy Hebblethwaite, he was married to Ada Beatrice Hebblethwaite of 2 Moor View, View Road, Heeley, Sheffield. Arthur was serving with the York and Lancaster Regiment at the Battle of the Aisne in September 1914. He was badly wounded on 21 September and evacuated to England. He died of his wounds at Netley Military Hospital, Southampton on 29 October 1914 aged 30 years.